As you probably gathered from my blog, I am a visual person and I love pretty images. So when I recently perused around for some holiday gifts, I was instantly drawn to these books. I seem to picks books, how I choose my wine, by the labels. So clearly, I haven't read any of them but I bet they're good! The covers alone sold me! I would love to read this Kerouac one, especially since I currently live 20 minutes from Big Sur, so I think this is a must read plus it's KEROUAC! The penguin book looked fun and whimsical and the Squid book appealed to me because of the drawings and because I love all things Octopus, Squid etc. 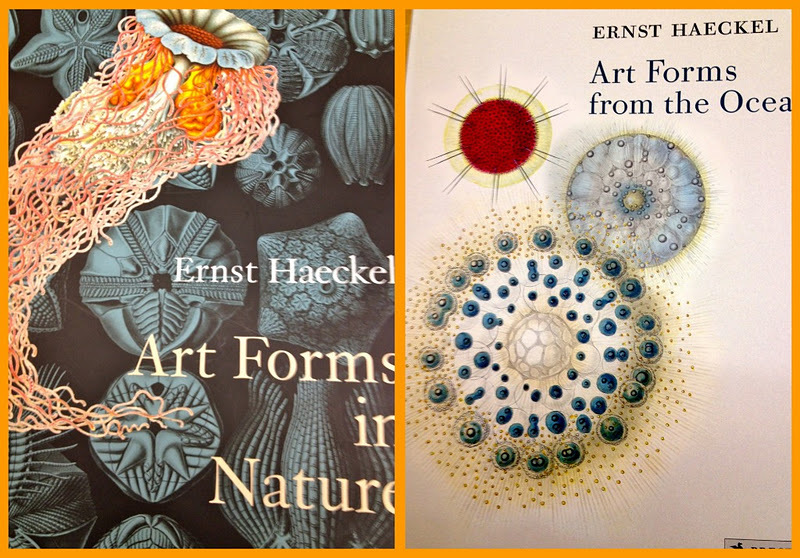 But what I really hope to get my hands on are these art books from Ernst Haeckel. I could just peruse these all day (even though they are thin books) but the images are gorgeous. So there you have it, some seaworthy books that maybe you can gift or put on your wishlist! 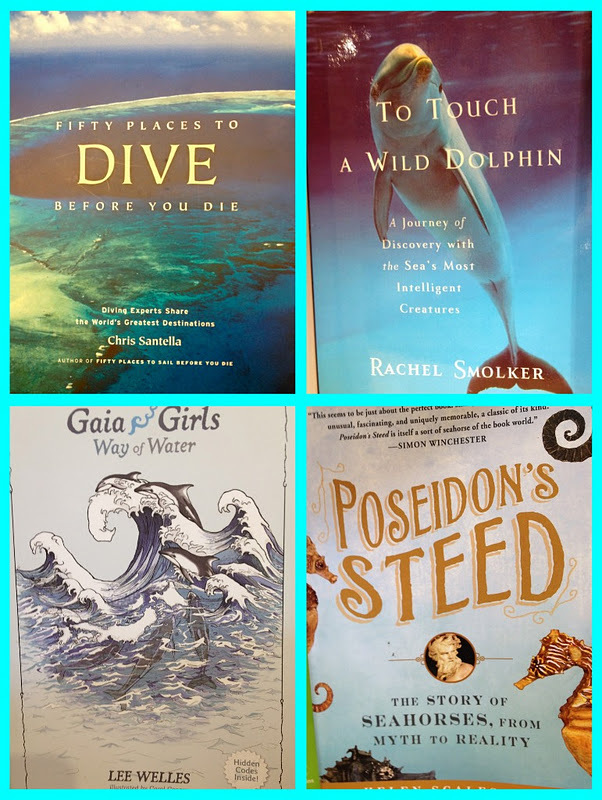 What's your favorite sea themed book? These would make for a great collection. I love books too. I did another post about the fur today. I REALLY love it and it's super warm! love those books!!!!! Great idea for xmas gifts!!!! Ha ha, I also choose wine by the label, some are so pretty! This post made me think of a book by Richard Flanagan, 'Gould's Book of Fish' - a novel in 12 fish. Not a picture book, but the author has a very creative mind! they all look like great books to have..beautiful covers! Ah, the pretty labels... me too. Art Forms from the Ocean, love how that sounds too!